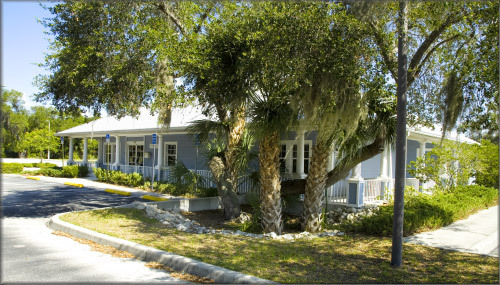 Dental and Periodontal Care by Dr. Carol W. Stevens is conveniently located in Port Charlotte, FL at the corner of Quesada Avenue and Cochran Boulevard. 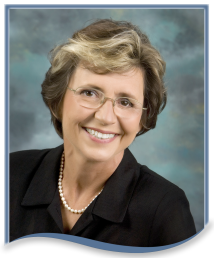 Practicing for 28 years, she is board certified and specializes in the treatment and prevention of periodontal “gum disease”. She is licensed and certified in IV Sedation, oral sedation and nitrous oxide, meaning your treatment can be as pain-free as possible. General Dentistry – extractions, partials, dentures. Sedation – Licensed and certified IV Sedation, Oral Sedation and Nitrous Oxide administration. Periodontal Disease Treatment – Non-surgical treatments and surgical methods are performed in-house by Dr. Stevens. Periodontal diseases are diseases found around the teeth, which affect the supporting structures of the teeth. Periodontal Disease is one of the most common and serious dental problems today, affecting people of all ages. It can lead to tooth loss if not detected early. At your first periodontal appointment, we will review your health history and take x-rays necessary to make an accurate and complete diagnosis. We are interested in your well being, so please inform us of pertinent medical facts. In Pain – Need an Appointment Now? New Patient Emergency Exams Only $59 – Call Today! *Cannot be combined with insurance or other offers. New patients only. Limit one per person. Use coupon code D0140 and D0220. Traveling south on I-75, take Exit #170, turning west onto Kings Highway. Turn right on Veterans Boulevard and continue towards Murdock. Turn left on Cochran Blvd. and then right on Quesada Ave. The entrance to our office is the first driveway on the right side of the street. From Tamiami Trail (Hwy 41), travel to the Murdock area of Port Charlotte. Turn east on Cochran Blvd. and then left on Quesada Avenue. The entrance to our office is the first driveway on the right side of the street.